Children welcome by arrangement. Restricted smoking areas. Children welcome from any age. 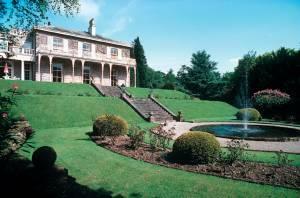 Macdonald Leeming House sometimes limits bookings to 2 or more days. Executive Twin sometimes limits bookings to 2 or more days. Feature Double sometimes limits bookings to 2 or more days. From M6 jct 40 take A66 west to Ullswater, the A592 to Ullswater. Public transport, bus service from Penrith to Glenridding.